Is your life a constant struggle of trying to maintain your weight, keep your blood pressure low and your cholesterol levels normal? Do you constantly feel your energy levels crash, even though you “think” you follow a healthy diet? The Ketogenic Diet Is The Answer To Your Problems! delicious Keto recipes that will surprise your taste buds! The Ultimate Cookbook For Beginners! Even if you don’t have the first clue about dieting, nutrition or even cooking for that matter, this Keto Cookbook makes every simple for you! will go through the roof! 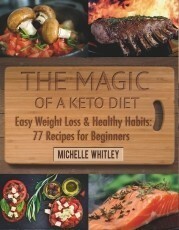 information on the benefits of the ketogenic diet.